Bill on the run at the SCG. The Eulogy below was written and read at Bills funeral by Rick Wayde a great mate of Billy. FAMILY, FRIENDS, SCOUTS, MUSIC…and FOOTBALL. 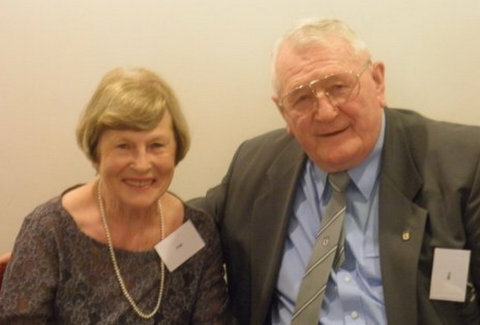 HE LOVED RUGBY LEAGUE…AND HE WAS PASSIONATE ABOUT WESTS. 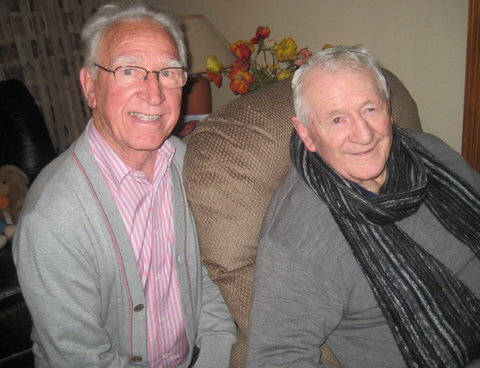 WITH HIS GREAT MATE, BILL CARSON, …HE CAME TO GRADE AT THE MAGPIES IN 1953 AND BOTH MADE FIRST GRADE IN 1954…SO, TOO, DID BILLY’S BROTHER KEVIN. 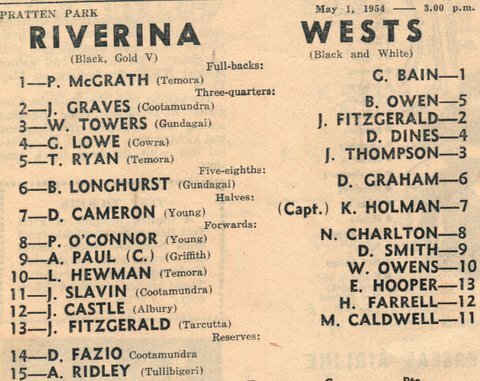 The two Bills playing for Wests together in 1953. 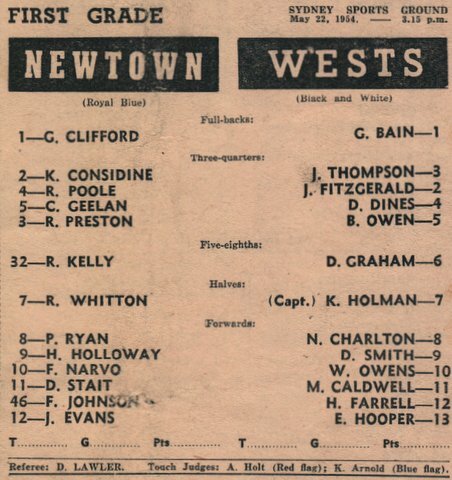 Bills first grade game at Wests in 1953. Bill is promoted in to Reserve Grade. Story below is from the SMH. The Ken is really Bills brother Kevin. 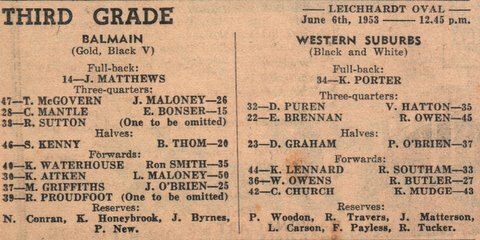 Bills first First Grade for Wests. Bills brother Kevin is playing on the wing. Wests won 20 to 9. 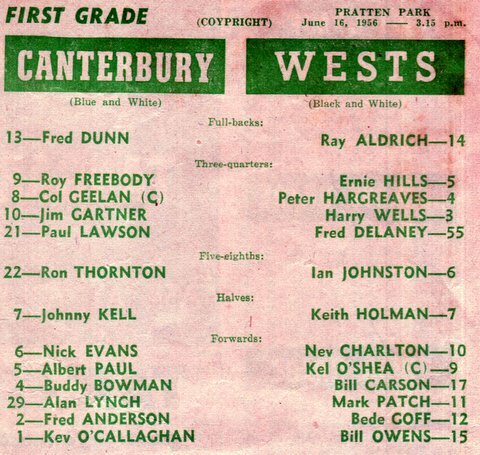 The two Bills playing together in First Grade in the second row for Wests. THE ‘TWO BILLS’, ON THEIR WAY THROUGH, GENERALLY PLAYED BOTH DAYS OF THE WEEKEND, JUNIOR CLUB ON SATURDAY AND CYO ON SUNDAY. 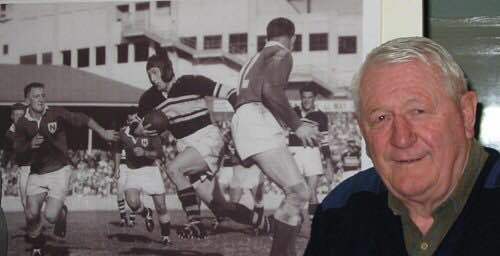 BILLY WAS ALWAYS IMMENSELY PROUD OF BILL CARSON’S ACHIEVEMENT OF PLAYING 2 TESTS AGAINST THE 1962 POMS…AND ESPECIALLY THE LAST PASS THAT CARSON GAVE TO IRVINE, TO ENABLE AUSTRALIA TO WIN THE SYDNEY TEST. Australia beat the poms 18 – 17. 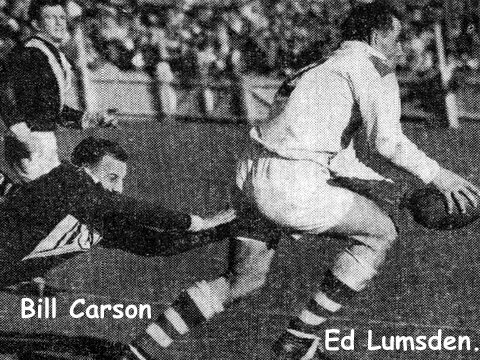 Bill Carson playing for Wests. 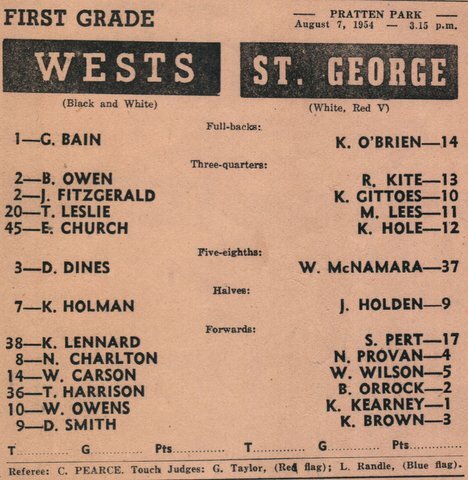 BETWEEN 1953 AND 1960, BILL OWENS PLAYED 46 FIRST GRADE GAMES, 19 IN SECONDS AND 9 IN THIRDS, FOR WESTS. 74 IN ALL. 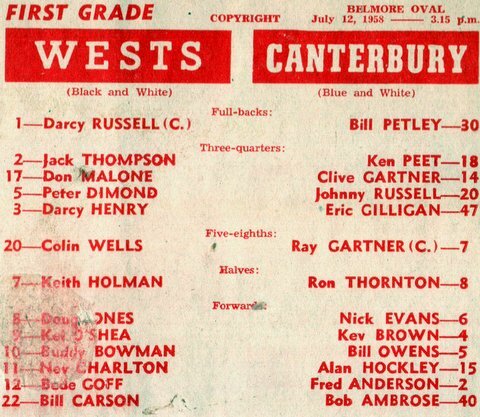 Below are a few games that Bill played in for his beloved Wests from 1954 to 1960. Thanks to the Wests Archives for their help. 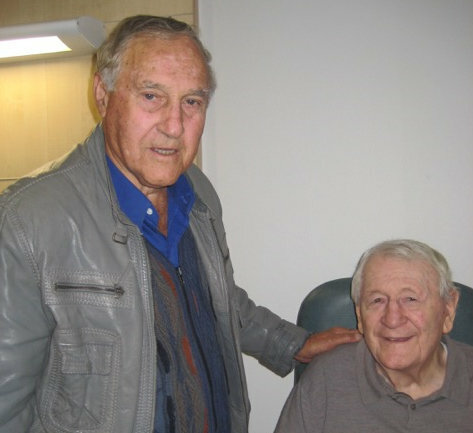 Jack Thompson dropped by to check on his old team mate from the 1950’s. 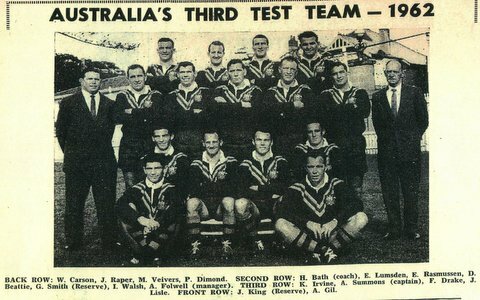 1956 and Bill is playing prop. Wests playing a Red Hot Souths side at the SCG. 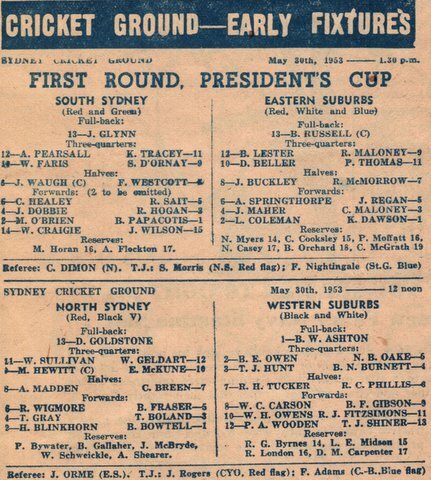 Wests won 27 – 16. 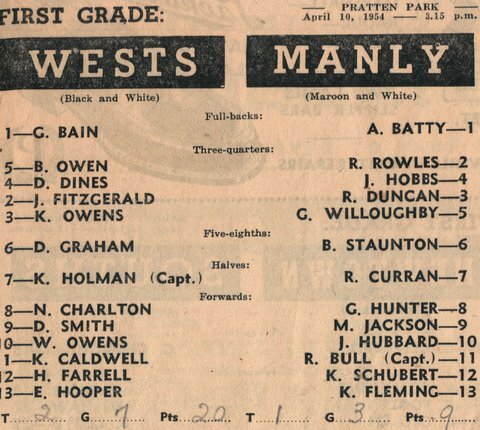 BILLY LOVED PRATTEN PARK FROM HIS EARLIEST DAYS. 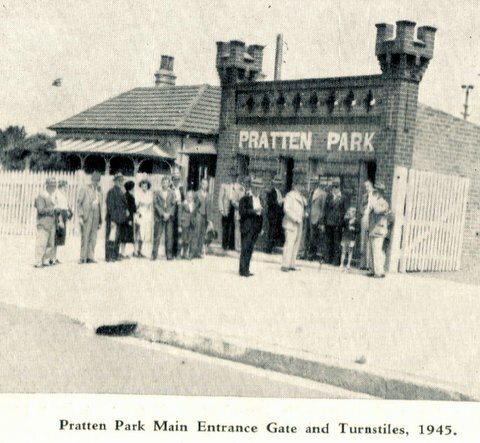 Pratten Park when Bill was a boy. FOR HIM TO GET TO PLAY THERE…ESPECIALLY ALONGSIDE HIS IDOL, YAPPY HOLMAN…WAS THE ULTIMATE. The two Bills and Yappy at Pratten Park. MOST OF YOU WOULD HAVE SEEN THE ICONIC ‘PHOTO OF BILL, IN FULL FLIGHT [IN FACT, BOTH FEET ARE OFF THE GROUND] AS HE BURST AWAY ON THE ALL HALLOWED SCG FOR WESTS V. NEWTOWN IN ’57 or ’58…WITH A VERY YOUTHFUL JOHN RAPER EMERGING IN COVER DEFENCE…. WHEN THAT ‘PHOTO CAME UP ON SCREEN AT A NEWTOWN FUNCTION, A FEW YEARS BACK, JOHNNY YELLED OUT, “DON’T WORRY FELLERS, I GOT HIM”. BUT…I’D LIKE TO THINK THAT RAPER MISSED, FOR ONCE. 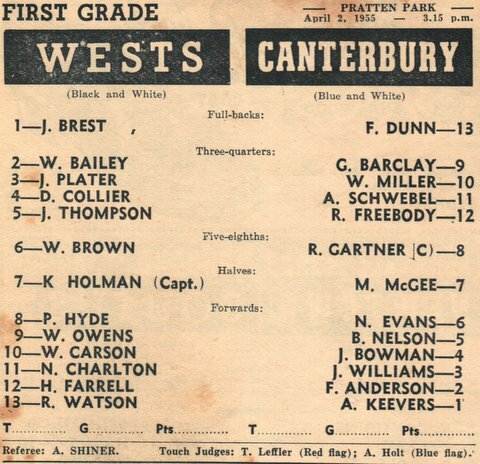 BILL SPENT A YEAR ‘ON THE DARK’ SIDE IN 1958,….JOINING CANTERBURY, PLAYING 13 FIRST GRADE GAMES [IT WAS A 10 TEAM COMP. IN THAT ERA… A 50 GAME CAREER THEN WAS WORTH 120+ THESE DAYS]. Bill playing for The Berries in 1958. 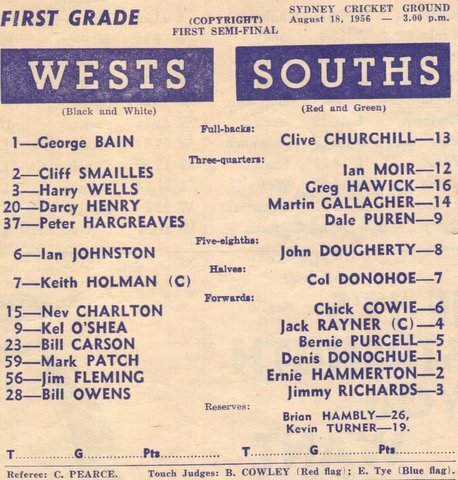 Wests won 14 – 12. 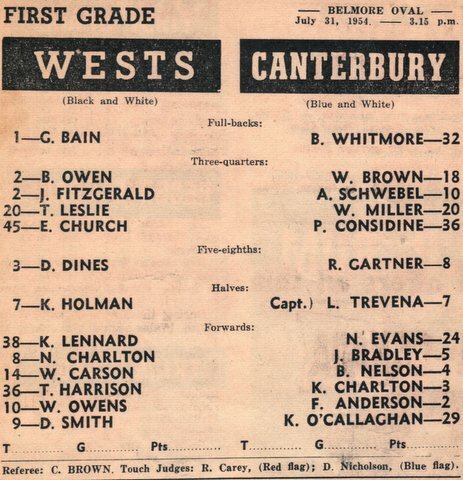 BILL OWENS IS FIRST GRADE PLAYER #512 AT WESTS…AND FIRST GRADE PLAYER #244 AT CANTERBURY. 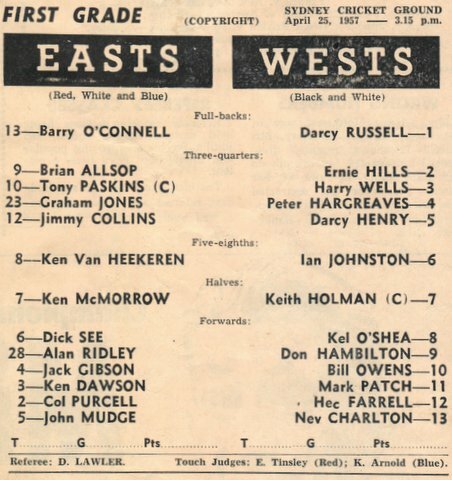 TYPICALLY, BILL EMBRACED THE CONCEPT OF THE MAGPIES STARTING A LICENSED CLUB AND JOINED ‘WESTS ASHFIELD’ AS MEMBER NO. 44 [CURRENT MEMBERSHIP IS 37,000] BILL PRESERVED THAT ORIGINAL RECEIPT. 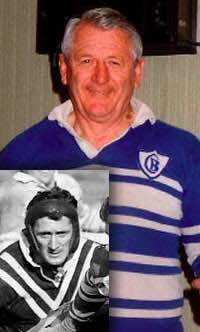 BILL WAS A SUCCESSFUL LOWER GRADE COACH AT THE MAGPIES…AND PERHAPS HIS MOST ILLUSTRIOUS INFLUENCE WAS IN ‘TRANSITIONING’ A YOUTHFUL, BLONDE-HAIRED TOM RAUDONIKIS, FROM WAGGA MAGPIES TO SYDNEY FIRST GRADE, AFTER JUST 2 RESERVE GRADE MATCHES IN 1969. BILLY ‘TAUGHT HIM ALL HE KNEW’…[Perhaps, You can take that two ways…]. I’M FOREVER THE ELVIS FAN AND I’M REMINDED OF HIS LINE FROM ‘CAN’T HELP FALLING IN LOVE’…. 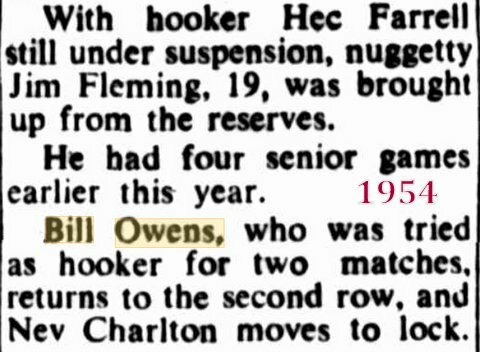 THAT WAS CERTAINLY THE CASE FOR BILL AND I….Some things are meant to be…..I BECAME INVOLVED AS A WESTS COMMITTEE MEMBER IN DECEMBER 1981, BECAUSE BILL RESIGNED AT THE AGM, IN PROTEST AT THE ‘PALACE REVOLUTION’ THAT DETHRONED ‘KING’ CARSON, AS PRESIDENT. IN A DISPLAY OF LOYALTY, HE TOLD THE MEETING, “IF YOU CAN DO WITHOUT BILL CARSON, YOU CAN DO WITHOUT ME”…..THAT OPENED THE DOOR FOR ME TO TAKE 16TH. PLACE ON THE 16 MAN COMMITTEE. IF BILL HADN’T STOOD DOWN…I WOULDN’T HAVE GOT ON COMMITTEE… AND POSSIBLY WOULDN’T HAVE STOOD AGAIN. Bill was often described as a STALWART….ABSOLUTELY APPROPRIATE: DEFINITION: Loyal, Reliable, Hard Working. HE WAS A ‘TEAM MAN’. HIS COLLECTION OF AUDIO AND VIDEO MATERIAL IS STAGGERING. FOR EXAMPLE, BILL WOULD ANTICIPATE WESTS MATERIAL BEING INCLUDED IN NEWS BULLETINS…AND HAVE THE TAPE READY. HE SHOT HIS OWN ‘SUPER 8’ FILM AT WESTS PICNICS, ON CRUISES AND ON THE SIDELINE AT THE SCG AND PRATTEN PARK. 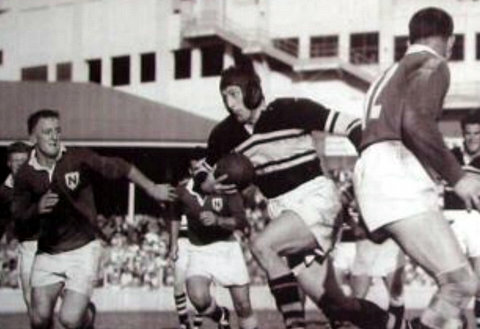 IN LEAGUE’S CENTENARY YEAR, THE NRL ESTABLISHED THAT BILL HAD THE ONLY FOOTAGE IN EXISTENCE OF JACK GIBSON PLAYING FOOTBALL. 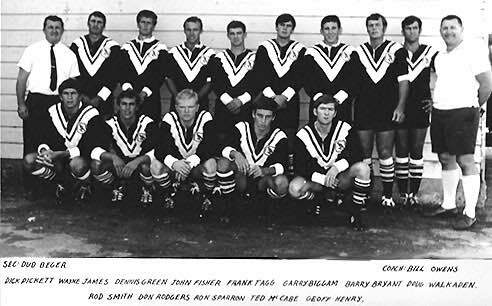 BILL SHOT IT, ON THE SIDELINE, AT PRATTEN IN 1964. HE EVEN HAD FRANK HYDE ON TAPE, CALLING “IT’S HIGH ENOUGH…IT’S LONG ENOUGH…IT’S STRAIGHT BETWEEN THE POSTS”. 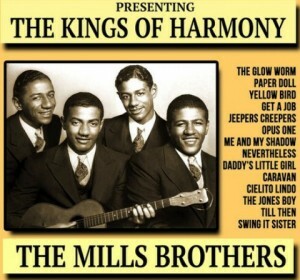 BILL ALSO CO-OPTED FRANK TO SING “WHEN KELLY LOWERED THE BOOM” ON THE CD OF WESTS SONGS. 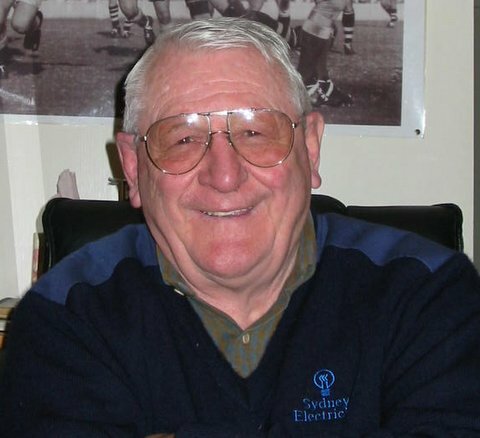 SIMILARLY, MIKE BAILEY [Chairman, WAL. Here, as is most of the Board] WAS CO-OPTED FROM TIME TO TIME FOR VOICE OVERS…BILL HAD NO DIFFICULTY PLAGIARISING SOME OF THE GREAT TUNES OF OUR TIME AND PROVIDING A LYRIC THAT PAID TRIBUTE TO MEMBERS OF THE MAGPIE FAMILY. 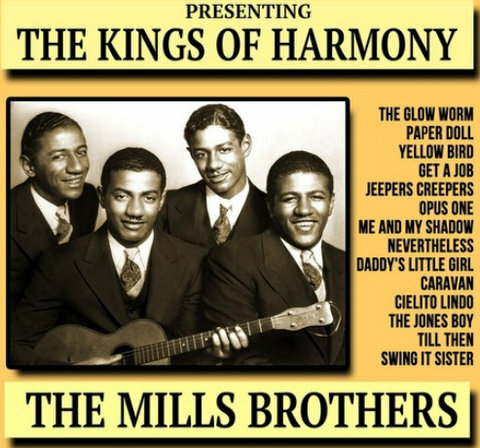 ADDITIONALLY, BILL HAD A TREASURE TROVE OF FAMILY ‘PHOTOS AND VIDEOS AND FAMILY BIRTHDAYS AND OTHER MILESTONES WHICH USUALLY REQUIRED A VOICE OVER…AND BILL’s EXPERT CHOICE OF MUSIC. BILL WAS WESTS’ “POET LAUREATE”. HIS STAND OUT…THE MAGPIES THEME SONG, “WE ARE THE BOYS FROM WESTERN SUBURBS” IS STILL POUNDED OUT IN WESTS’ DRESSING ROOMS… IN FACT AS RECENTLY AS THIS YEAR’S FINALS SERIES… BY THE MAGPIES’ MASSEY CUP TEAM. 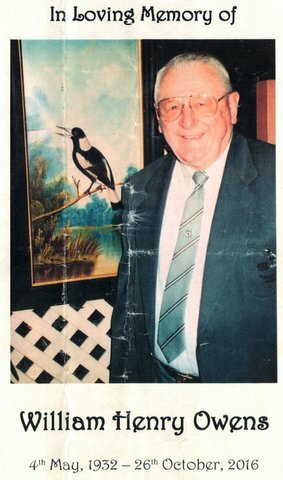 FAMOUSLY BILL CARSON, AS WESTS PRESIDENT, ASKED BILL TO COME UP WITH A ‘CLUB SONG’. WHEN COMPLETED, CARSON MADE DALLAS, TOMMY, ROY AND CO. STAY BACK AFTER TRAINING…UNTIL THEY LEARNED IT. 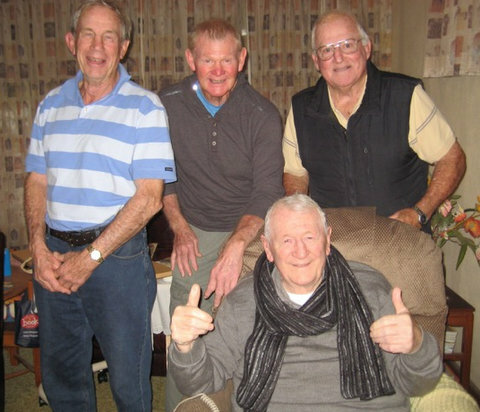 ‘THE BOYS…’ WAS AN INSTANT HIT WITH PLAYERS AND SUPPORTERS. PROVIDING A SIMILAR ANTHEM FOR WESTS TIGERS WAS ‘UNFINISHED BUSINESS’ FOR BILL. IN REALITY, BILL OWENS WAS WESTS’ FIRST ARCHIVIST. THE ‘PPM’ ALSO EMBRACED THE LADIES, CREATING A DINNER DANCE…AND, LATER…LUNCHEON FUNCTION, AT WHICH A MAGPIE GREAT WOULD BE HONOURED. 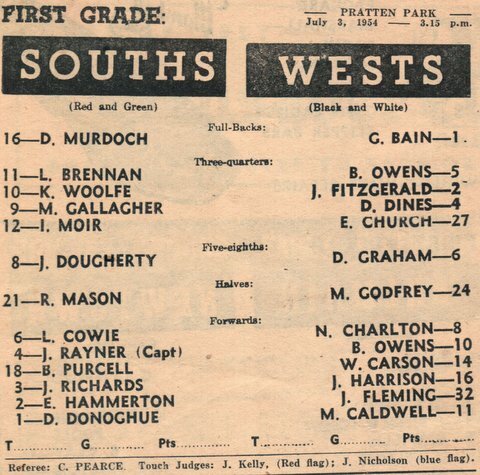 IN THE EARLY DAYS IT WAS ALMOST A ‘KISS OF DEATH’…TO SURVIVE VERY LONG, AFTER A ‘PRATTEN PARK TRIBUTE’ BECAME A MAJOR ACHIEVEMENT. BILL RESPONDED TO ‘ASSIGNMENTS’ FROM WESTS CRICKET ….AND LEAGUES CLUB EVENTS, AS WELL. WE INSTALLED PAM AS THE ‘EXECUTIVE PRODUCER’…AND NO VIDEO WAS EVER GIVEN A ‘RELEASE’ WITHOUT PAM’S APPROVAL. BILL HAD A RARE CAPACITY TO CONSTRUCT A BEGINNING, A MIDDLE AND A STRONG FINISH. [THERE HAVE BEEN MANY PROFESSIONAL SCRIPTWRITERS IN AUSTRALIA WHO TOOK A LONG TIME TO ACHIEVE THAT]. I WAS ALWAYS AMAZED AT BILL’S COMPUTER LITERACY. HE HAD AN ENTHUSIASM TO LEARN ALL HE COULD…AND USED THAT KNOWLEDGE TO MAXIMUM EFFECT. BILL CONTRIBUTED TO THE ORIGINAL PUBLICATION OF ‘CLOUDS OF DUST…BUCKETS OF BLOOD’ AND ASSISTED GARY LESTER IN THE RECENT REVAMP OF THE BOOK. IMPORTANT BACKGROUND FOR GARY’S BOOK ABOUT THE HISTORY OF THE CALTEX REFINERY THERE. DECIDING TO DRESS TONY ARMSTRONG AS A BARE CHESTED INDIAN CHIEF CERTAINLY WENT A LONG WAY TO ‘WINNING OVER’ Judge BERNARD KING..
BILL’S PERFORMANCE OF HIS JOHN ‘DALLAS’ DONNELLY TRIBUTE IS ‘OUT THERE’ IN THE YOU-TUBE EATHER FOR EVERYONE TO ENJOY. GOOGLE IT, IF YOU HAVEN’T ALREADY DONE SO. 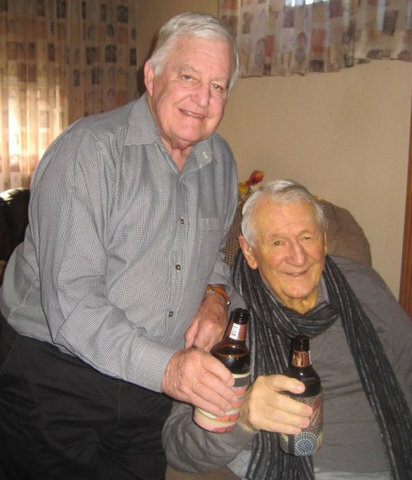 I’M PRIVILEGED TO HAVE SHARED MANY MAGIC MOMENTS WITH BILL AND AMONG THE HIGHLIGHTS IS A MORNING THAT WE VISITED JIMMY SHARMAN AT HIS HOME IN RANDWICK IN 2008. IN PREPARING FOR THE ‘TEAM OF THE CENTURY’ VIDEO WE HIT ON THE IDEA THAT JIMMY WOULD HAVE KNOWN AND PLAYED WITH THE LIKES OF VIC HEY, CLIFF PEARCE, ALAN RIDLEY, IN THE PRE-VIDEO ERA AND JIMMY WOULD HAVE SEEN ARTHUR CLUES and CO. PLAY…AND THE BONUS TURNED OUT TO BE THAT SHARMAN SIGNED NOEL KELLY, ON A COASTER, AT THE BURDEKIN HOTEL IN FAR NORTH QUEENSLAND…definitely over a few beers. IT WAS A MAGIC MORNING WITH THE FIRST OFFICIAL ‘LEGEND OF NSW’…AND ALL CAPTURED BY BILL FOR THE WESTS ARCHIVES. Rick Wayde and his dear friend Bill Owens. DECIDING WHEN TO BOOK THE ‘PHANTOM’ HELICOPTER FOR THE LAST MINUTE DELIVERY OF WHATEVER PROJECT WE WERE WORKING ON…WE WERE ALWAYS RUNNING LATE, NOT NECESSARILY BECAUSE WE HADN’T STARTED EARLY ENOUGH, BUT BECAUSE ‘SOMETHING EXTRA’ WAS ALWAYS GOING IN…OR BEING ADJUSTED. THE IRONY OF THAT IS, THAT BILL PASSED AWAY AT ‘3AM’ ON WEDNESDAY, OCTOBER 26TH. EERILY, I WOKE AT 3 O’CLOCK THE NEXT MORNING AND SO MANY OF THE RECOLLECTIONS, RELATED HERE, CAME FLOODING TO MIND, THAT I GOT OUT OF BED AND STARTED JOTTING THEM DOWN. 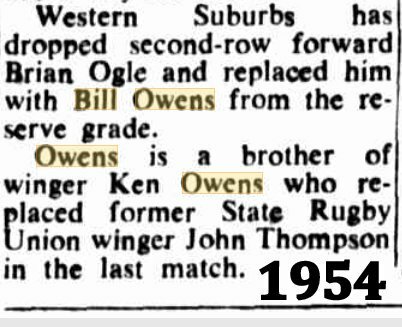 BILL OWENS EMBODIED EVERYTHING THAT IS GOOD ABOUT WESTERN SUBURBS. CELEBRATE HIS 60TH. WEDDING ANNIVERSARY WITH PAM…AND THEN AGREE TO GO INTO PALLIATIVE CARE. BILL OWENS SUBSTANTIALLY CONTRIBUTED TO THE IDEALS OF HIS BELOVED WESTS…AND HAS LEFT AN ENDURING LEGACY. 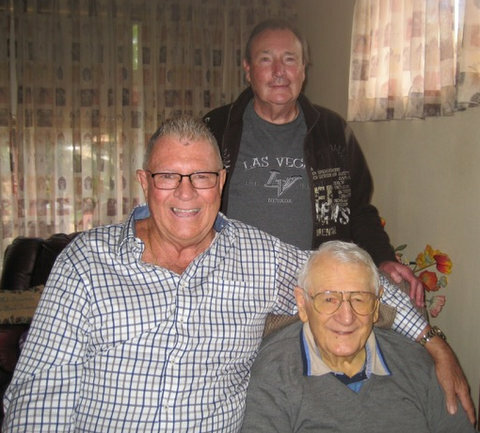 BILL’S LOVE OF WESTS…AND THE MILLS BROTHERS…WAS ONLY ECLIPSED BY HIS LOVE OF FAMILY. IN LEAGUE, HOLMAN AND STANMORE; WELLS AND GASNIER, for example. 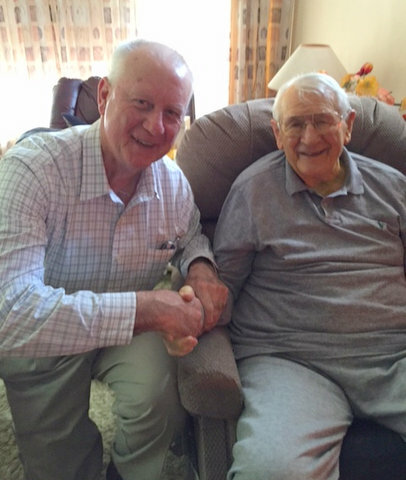 Speaking of the “Boys and girls of Western Suburbs”, Bill was visited at home by them. Tim Murphy, Steve Winter and Noel Kelly. Pat Regan and Gary Walsh. Carl Ross enjoys another of Bills loves…..Old Beer. 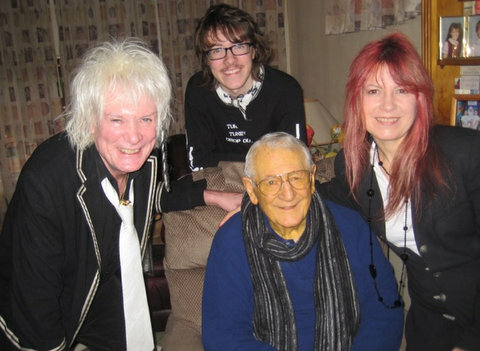 From me ….Bill was the first interview that I did for this website Noel Kelly’s Kids. Bill was very kind to a very nervous interviewer. * The definition of vale is as a Latin phrase that means hail and farewell.